I’ve had back problems on and off for a while. I’ve started going to a chiropractor, and she recommended that I remove the wallet from my back pocket. It didn’t comfortably carry in the front pocket, so I got a new one that does. 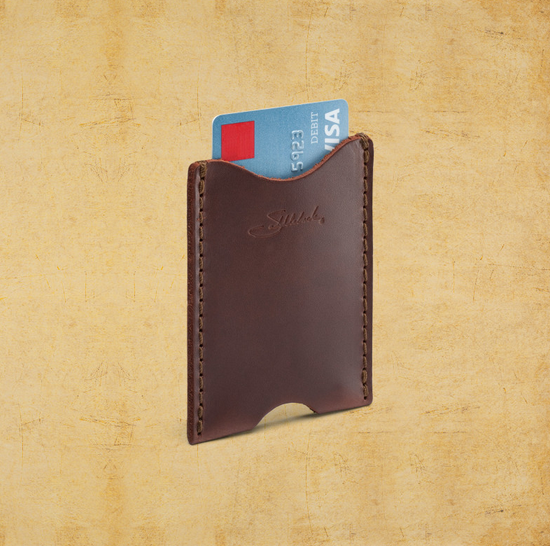 The Saddleback Leather “Sleeve Wallet.” I know I tagged this Made in USA, but this is actually made in Mexico. Or at least mine was, they have a USA model now as well. It holds “up to 12 cards,” though so far I only have three in mine since that is all I need. I carry license, debit card, and one credit card. Perfect! And it fits just right in normal pants pockets without any bulging, even in dress slacks. This entry was posted in Made in the USA, Upgrade. Bookmark the permalink.